Make Global Organic Trade Easy! Join organic food suppliers and wholesale buyers from around the world. Exhibit your products 24/7/365 and promote your company. Access high quality and organized information and filter products by category, certificate, location and other product details. Add photos and specifications to give potential wholesale buyers quality information about your products. 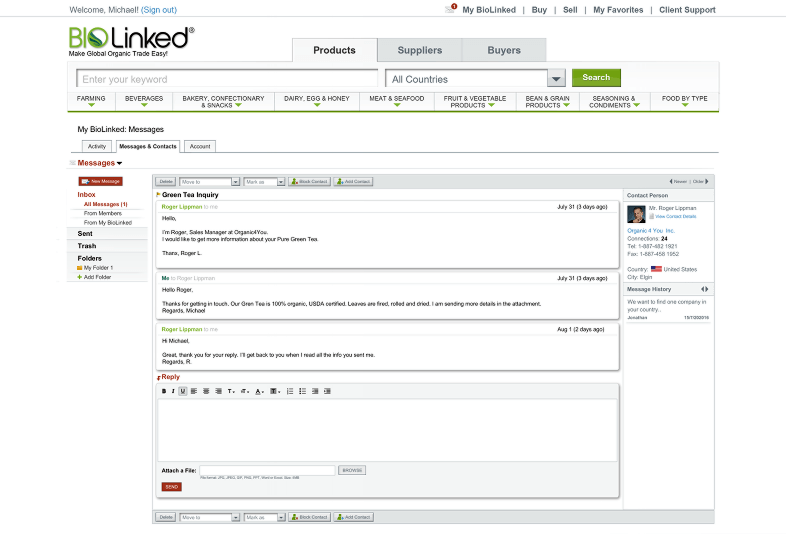 Send and receive messages in real-time and agree terms directly with other businesses. Get a FREE professional website. Use simple Biolinked tools and make your website in a few steps. Create a custom URL and give people a short, easy-to-remember web address to find your BioLinked site. It’s important to build a trust with your audience - create your profile with detailed company information and present yourself 24/7, 365 days a year locally and globally. Meet new business clients and get better prices for your products. Avoid costs of attending trade shows, expensive advertising and marketing costs. 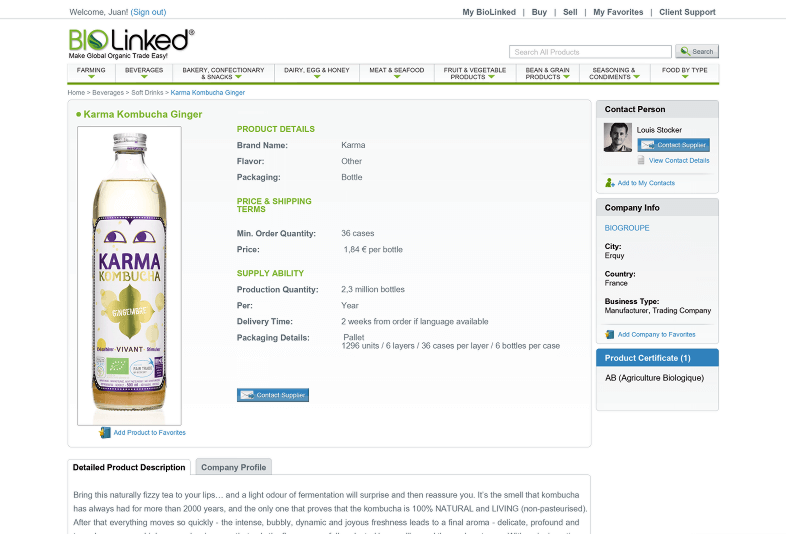 Just add as many products you want to sell with photos and description, and the rest will be managed by BioLinked. We provide you a website with your own url and attend trade shows to promote your business. When you see something that interests you it’s time to send messages. Communicate with potential business clients through BioLinked Message Center and arrange shipping, payment and delivery terms directly with them. We don’t charge any commission on any transaction. 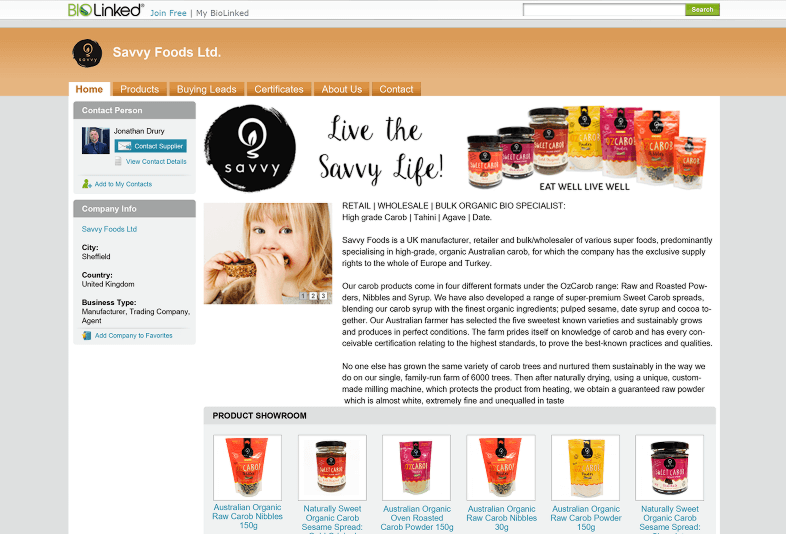 To make organic food trade easy and simple, anytime, anywhere. 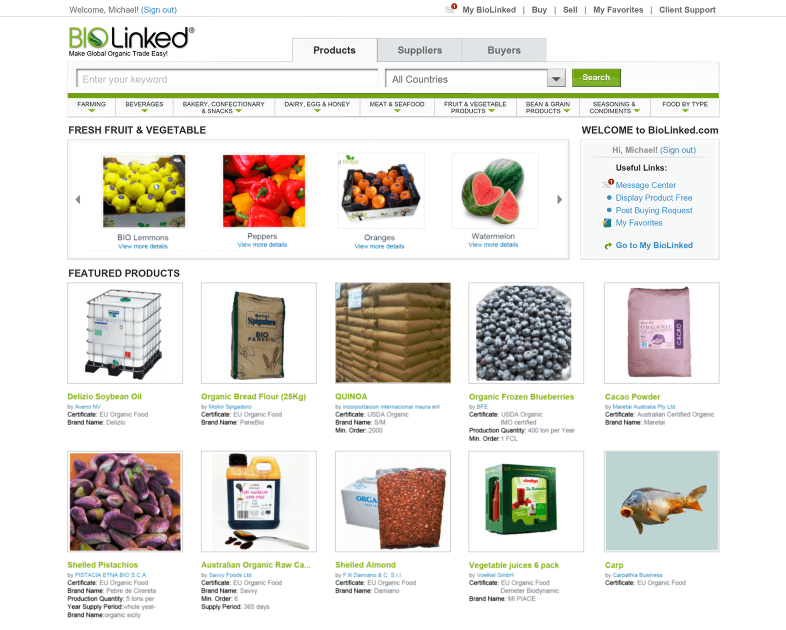 At BioLinked, we all come to work every day because we want to solve one of the biggest problems in organic food market. Organic suppliers (producers, manufactures, exporters and importers) are having troubles to connect directly to business buyers. Costs of attending trade shows, of sales teams, advertising and marketing costs, are often too much for the most of organic suppliers. Business buyers of organic food are having difficulties to find the right products in the right time, or find it even at all. 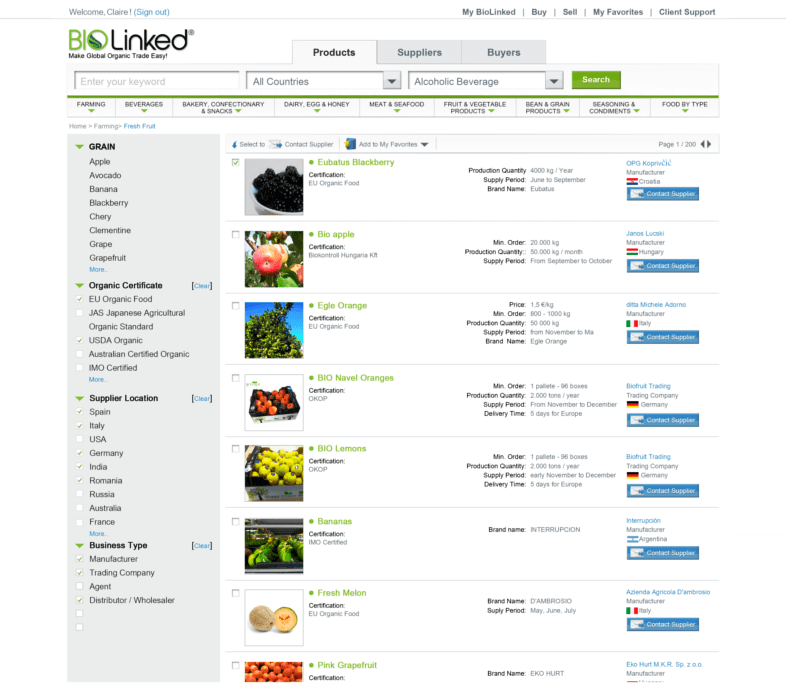 Our goal at Biolinked is to connect businesses of all sizes with organic suppliers around the world. Today we provide most advanced web platform for food trade in organic sector. We want to give the opportunity to every organic supplier to display his products to potential business clients in any part of the world. Laura Carrillo Garcia, Export Department, Panarro Foods, S.L. Maria Velasco Garcia, Administration, Orujo de Liébana, S.A.